The Philadelphia Sketch Club’s will hold its 155th Anniversary Gala on this date. 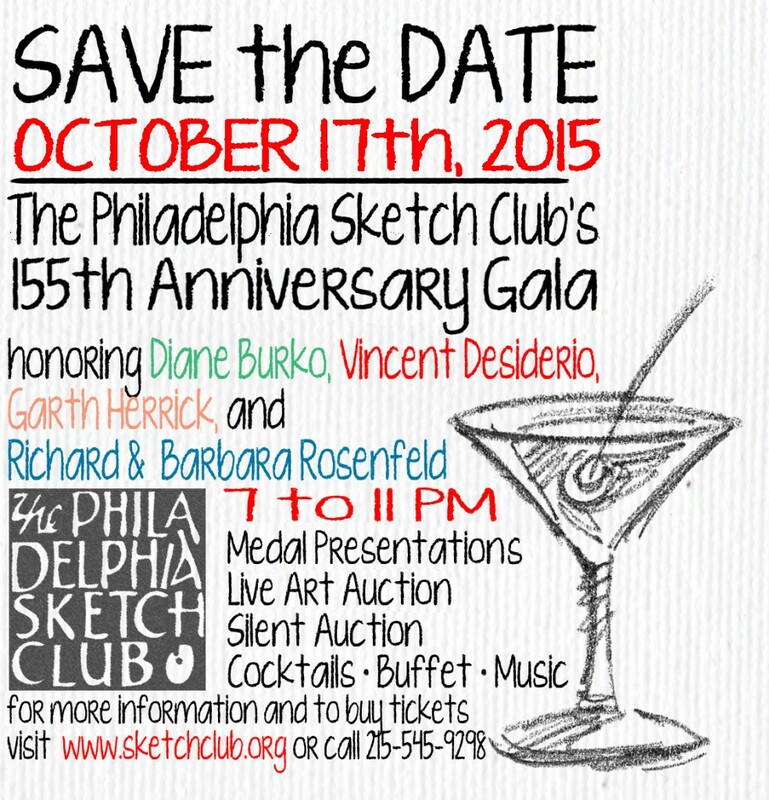 Activities will include honoring three great artists, Diane Burko, Vincent Desiderio and Garth Herrick, and Barbara and Richard Rosenfeld who operated the Rosenfeld Gallery in Philadelphia for 40 years. Each will be presented with a Sketch Club Medal for their achievements in the visual arts. Events include the medal presentations, live auction, silent auction, cocktails, hors d’oeuvres, buffet, music and excessive merriment and camaraderie. More details will be following shortly. Tickets for the event are available to the public and all members. Members are encouraged to make this important fund raising event successful by encouraging their friends to attend. We are also looking for silent auction items, so if you know of a likely donor please let us know. There will also be advertisements sought for the event booklet so if you have a business or friend who has one that might be a willing advertiser, please let us know. The live auction will include artworks by the honorees as well as some donated historical works by past Sketch Club members Ranulph Bye, Domenic DiStefano, John B. Lear, Caesar Ricciardi and Herman Gustav Simon. For information or to let us know how you can help this event be successful, please contact Gala Chair Bill Patterson at bpatterson2045@comcast.net or cell 267-664-2434. Patron: $150 ($125 is tax deductible). Patron names will be listed in the event booklet. Art Lover: $100 ($75 is tax deductible). Artist (Sketch Club Members only): $60 ($35 is tax deductible). Contributions from those who cannot attend are also welcome. 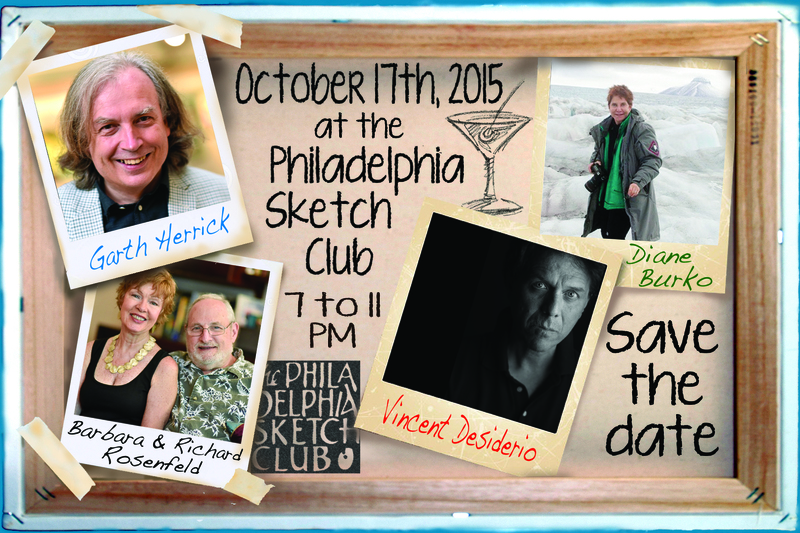 Tickets can be purchased by sending your check to the Philadelphia Sketch Club or on line at Purchase Tickets or by calling 215-545-9298.